Mangalitsa pigs, also known as lard pigs, are unique because they’re reared and produced through old world traditions of raising and butchering livestock, a process nearly extinct in America. Inspired by memories of traveling and enjoying deliciously cured, European pork, G.C. Andersen, the owner of Mosefund by Mangalitsa, set out to revitalize those traditions at his farm in Sussex County, New Jersey by being the exclusive producer, east of the Mississippi, of the rare breed. 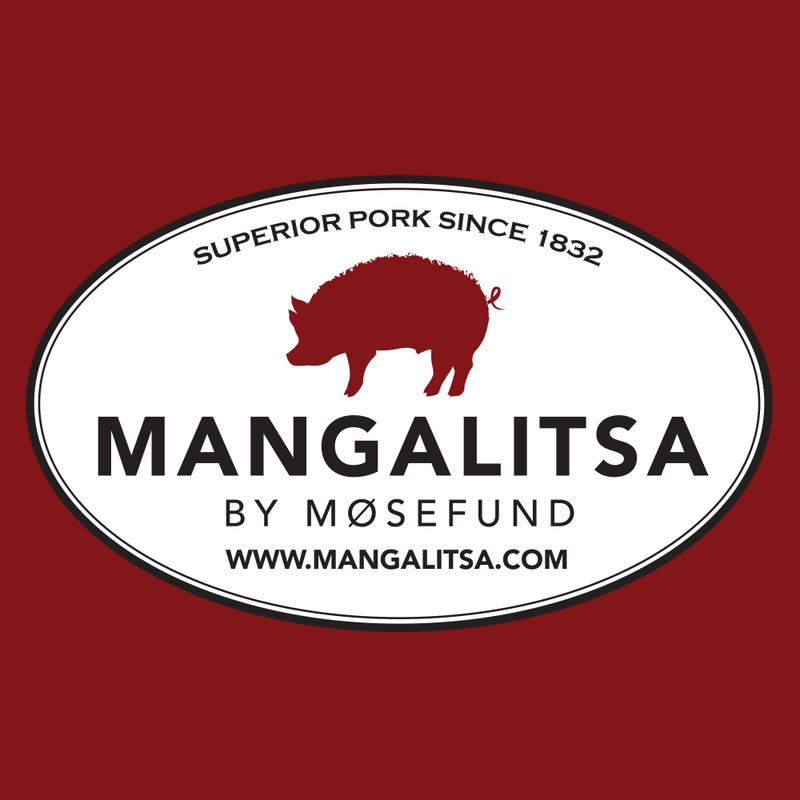 The Mangalitsa at Møsefund Farm are raised with great care and a special diet they are fed, resulting in products with an amazing flavor, quality and consistency. Mangalitsa pigs are allowed to mature at a natural rate, twice that of commodity hogs, and because of their unique genetics, Mangalitsa pigs create fat that is mostly monounsaturated and high in omega fatty acids. Mangalitsa pigs are slow-raised in pastures and fed an all-natural diet unlike their porcine brethren in factory farms who are force-fattened at an accelerated rate with corn and soy which, incidentally, causes them to make less unsaturated fat. Mangalitsa pigs produce one of the best fats available because it contains 56% monounsaturated fat. It is rich in antioxidants and has the virtues of products typical to the Mediterranean diet.